A non-profit group that serves all CNUSD schools since 2010. Presenting the 2019 Award Recipients! We are thrilled to announce this year's grant recipients! 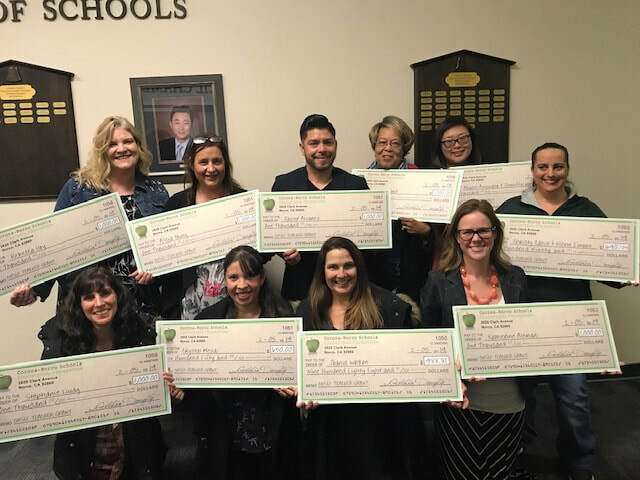 Click on the link below to see which educators received funding for their program that benefits CNUSD students! Corona-Norco USD celebrated its 125 years through the publication of this collector's edition, From One Room... An Amazing Ride through the History of Corona. Collect your piece of history of our school district, which includes a story with the evolution of our community and how it grew. This collective piece of work includes contributions of civic and educational leaders with personal insights into our past. Collect yours today!